India, Indonesia, or another rising Asian power could be next. Imagine a scenario where a senior American business executive is suddenly detained overseas, at the behest of the Chinese government, which accuses him or her of violating its national security. American and Western media would undoubtedly express outrage and have a field day bashing China. This is not to argue that Meng is completely innocent of breaking American law. But it is important to note that the right to this extraterritorial behavior is asymmetric: only the United States is allowed to wield it “legitimately.” No other country, such as Malaysia, which is trying to recover 1MDB-related money from Goldman Sachs, can dare to act in this way. If other nations tired of U.S. judicial bullying – and there are many – start to retaliate by detaining Americans and citizens of its Western allies, things could become very messy, very quickly. But Meng’s arrest leads to a different question. Despite protests to the contrary, the United States made a choice to escalate tensions by taking this action. Why? Some have connected Meng’s arrest to the wider trade tensions between China and the United States. Huawei had already been accused by Western politicians of being a front for the Chinese government, and it has been denied access to Western markets. Given that technology is one of the few areas where the West is still clearly dominant, people have viewed this pressure as strategic economic leverage. But this misses a more fundamental cause for the worries about China, which now spread beyond trade and economics. Articles about China’s technology and surveillance, such as its “social credit system,” worry about a techno-dystopia, despite similar surveillance being done in Western countries (and by their own tech companies). The United States has expressed concern about the activities of university students from China, while Australian politicians have spent months debating “foreign influence” in their domestic politics: a rather poorly veiled reference to China. A good case study is Google’s cancelled re-entry into China with a Chinese-compliant version of Google search. This was met with controversy both by Western media and Google’s own employees. This is partly the company’s own fault, due to its loud and public withdrawal from China almost 10 years ago. But similar concessions by Google in smaller countries have not sparked such controversy; only China has. Interestingly, a Chinese version of Google might actually be of value to Chinese people, as local search engines like Baidu have been plagued with scandal, hoaxes, and frauds. But the fear that Western observers have about China means that this benefit could be denied them. One could argue that this is part and parcel of the usual geopolitical conflict between an incumbent power and a rising one, or that they are merely representations of how the economic relationship between China and the West continues to change. But the source of suspicion is deeper and often not spoken about. 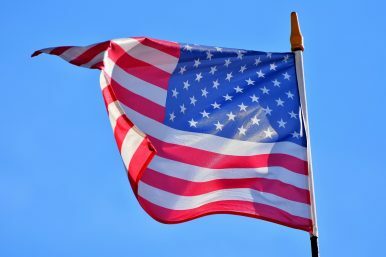 For a long time, “American exceptionalism” (and “Western exceptionalism” in general) has been based on the idea that the American or Western culture, way of life, and values are superior. One could perhaps see racial supremacist undertones in these beliefs as well. After all, these were the same sentiments that permeated the colonial era and were used to explain away or justify the shameful excesses of colonialism. It is clear that neither the United States nor Europe is mentally prepared for the prospect of another country, especially a non-Western one, being successful, let alone overtaking the West. This is particularly true for China: a country long viewed as backward but which has now succeeded while following its own political, economic, and cultural model. For the first time in two centuries a non-Western nation with a wholly different political system is challenging the West, and this is causing great anguish. “American exceptionalism” is threatened when a country with different values does well. We first saw this in the 1980s: anti-Japan sentiment was sparked when Japanese companies started to buy American cultural symbols. This worry was reflected in American popular culture, best shown in any depiction of an American future dominated by Japanese companies. But this sentiment was nowhere near the level we can see today regarding China. Even the most liberal of Western media outlets have found it near impossible to portray China in a balanced way, finding it difficult to remove their inherent comfort with deep-rooted Western ideas and framings, and to confront their own prejudices. The United States and the West by extension cannot accept China’s success on its own terms and this permeates almost all segments of society. This is one issue on which there is bipartisan support in the United States. The fear of China and the rest is real. They cannot just accept that China’s success says nothing about how Western countries should govern themselves. Instead, China’s model must be proven incorrect, by ignoring its successes in poverty reduction, education, and economic development and focusing on other issues. There are hard lessons and warnings for here for developing countries, especially large ones finding their rightful place in the community of nations. People assume that the rise of other large developing nations, such as India, Indonesia, or Nigeria, will not be as disruptive as China’s, perhaps due to the belief that they would “balance” China or would not threaten to disrupt the international order. But this betrays a Western need to oppose China at all costs. Other countries need to be aware that they might be next if they begin to demand a say in world affairs. A rising India could be next. If the roots of American-Chinese tensions come from something other than just geopolitics or economics, then the ascent of these large developing countries may not be as smooth as they hope. This would be due to the Western, U.S.-led opposition to the “rise of the others,” something the world has not seen in over two centuries. It is this that could well define and shape geopolitics in the 21st century. Denying that this sentiment exists and drives foreign policy would be to play into the hands of those who wish to preserve a Western world order at all costs. One question many Americans asked themselves in the aftermath of the September 11 attacks was “Why do they hate us?” One wonders if people in China are asking themselves the same thing. They may not like the answer they get back. Chandran Nair is Founder and CEO of the Global Institute for Tomorrow based in Hong Kong. He is also the author of The Sustainable State: The Future of Government, Economy and Society. The United States is for the first time substantively responding to China’s rejection of international norms. China and the US Are Destined for Peace, Not for WarChina’s Plan to Break off US AlliesUS Extradition of Huawei CFO: Fallout and Fault Lines Explaining Australia’s Meek Response to China's Arbitrary Detention of 2 CanadiansWhat Comes After US Hegemony?